A family takes a photo next to a Black Panther banner at the St. Louis Science Center First Friday event dedicated to Black Panther on Feb. 2. Theaters across the country are holding “black carpet” events to premiere the film. In St. Louis, the nonprofit organization Mocha Moms will hold their black carpet this evening at the Regal St. Louis Stadium 18 in Hazlewood. Thomas is the founder of FTC TV, a local, underground media company that focuses on diversity. She is also a fan of “Black Panther” and is one of thousands across the country who's planning to wear traditional African attire to view the film Friday because, for many, “Black Panther” is not just a film, it’s a cultural milestone. “I felt pride, for some reason. I felt all of these amazing emotions because it almost felt like watching your family on screen,” Thomas said. The film follows T’Challa, the Black Panther, heir to the throne in Wakanda. After the death of his father, T’Challa returns home and discovers a plot to remove him from power. With the help of Wakanda natives, he must fight this threat to prevent what could lead to a war. For Cami Thomas and many others, cultural representation is a big deal, especially for Hollywood films. In a recent study from the University of Southern California, researchers found that 28 percent of films in 2014 and 2015 featured minorities in speaking roles. Chad Davis talks to fans who are eagerly awaiting the release of Black Panther, the next Marvel movie. “For me, that representation is really important in a time where we see so much black dehumanization and the annihilation of black people, that we get to celebrate black people as gods,” Jeffrey McCune said. McCune is an associate professor of African and African-American Studies at Washington University. He said he hopes the fascination with this film will be able to inspire younger audiences. “I imagine that there will be kids there who will begin to understand themselves as a part of a royal family and one that has superpowers. Which is not what has been available to so many young boys and girls in the U.S. landscape,” McCune said. Lion Forge is a black-owned comic book studio in St. Louis. Here Carl Reed, co-founder of the company, works on an illustration. The strong roles in the “Black Panther” comic books have also resonated with the crew at Lion Forge, a local, black-owned comic book company. 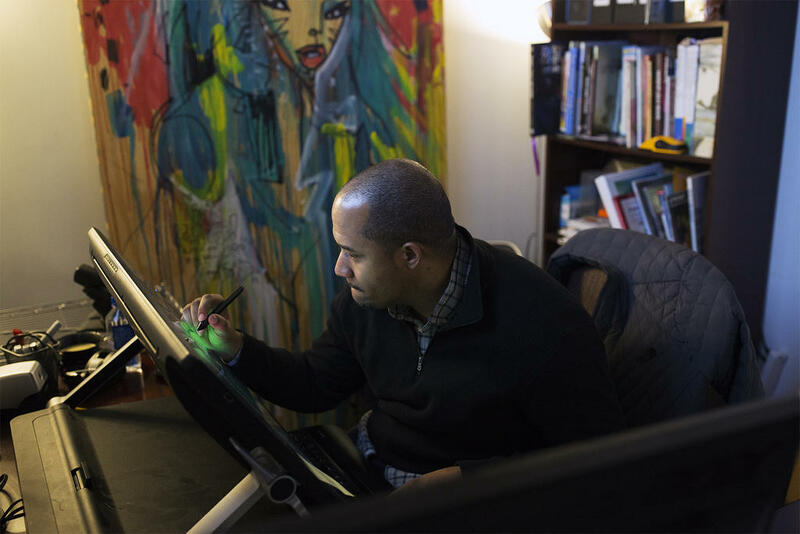 The company was founded by David Steward II and Carl Reed with the goal of creating comics that have ethnically diverse characters and diverse writers behind the scenes. “Black Panther’s” impact is also noted for its positive image of black women, said David Gorden, the editorial assistant of Lion Forge. He said the comic features a female group of female warriors called the Dora Milaje that protect and assist Black Panther. T’Challa’s half sister, Shuri, assists him with scientific innovations because she is one of the smartest people in the world. “When I was a kid I would have loved to have seen that. You know, a 16-year-old girl, black girl, afro hair who is the smartest person in the Marvel Universe,” Thomas said. “Black Panther” opens worldwide in theaters Friday. Fans of the mid-1980s TV show Voltron will recognize that phrase as the moment five robots join together to protect Earth from evil aliens. Now, local company Lion Forge Comics will release a comic based on the series. 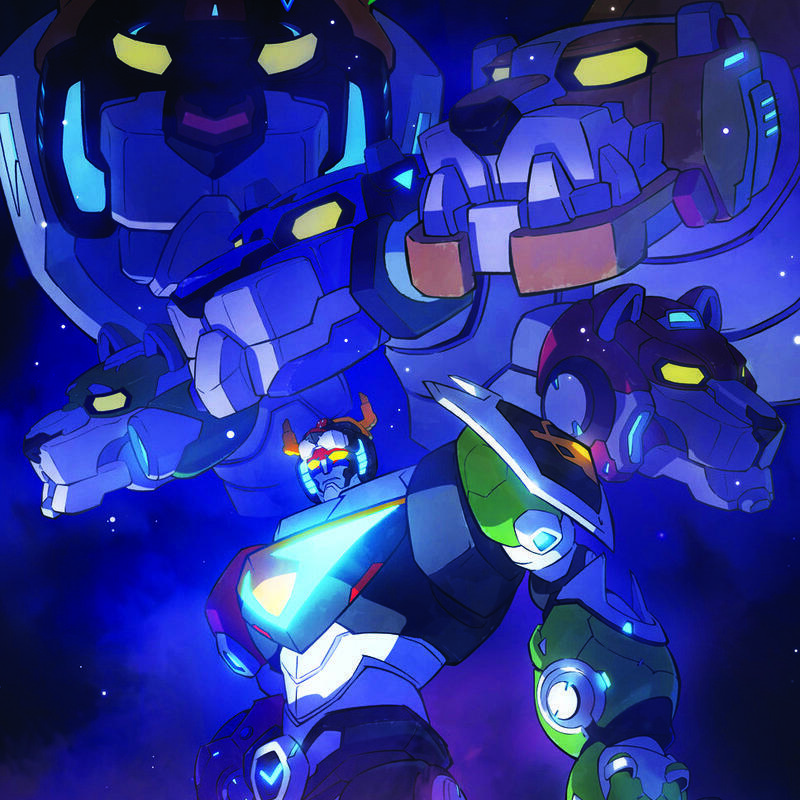 “I’ve been a fan of Voltron. It was one of those properties that I grew up with in the ‘80s, so it was probably my favorite show ever,” said Lion Forge head David Steward.